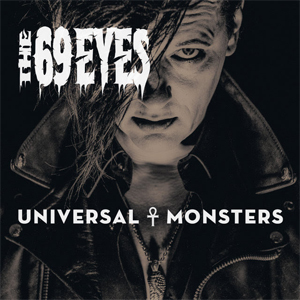 Helsinki's infamous vampires, THE 69 EYES, proudly announced the title of their new, 12th studio album, which will be released on April 22nd via Nuclear Blast last week. Universal Monsters, as it's called, will contain eleven brand-new Finnish gothic hymns. The first single from their upcoming outstanding record has been released. The band have also created a music video for the song with director Ville Juurikkala. To check out "Jet Fighter Plane" on KNAC.COM, go HERE. Purchase "Jet Fighter Plane" digitally HERE. "As I first heard the instrumental demo of the song, it immediately sounded for me like a song from the early 80’s new wave/post punk days. You know, like when the music was heavily inspired by David Bowie’s dark visions, the Cold War, the threat of nuclear war and 1984-kind of the future. So I wrote such lyrics from the past – and all of a sudden, the history started to repeat itself and the Cold War winds started to blow again! It was very strange - all of a sudden THE 69 EYES have a song which is very "today" and even political, longing back the days of peace," tells singer Jyrki 69. "We also wanted the video to be artistic and visually capturing the vibe and theme of the song. There is hope but also darkness, violence and innocence. And it’s only goth 'n' roll."